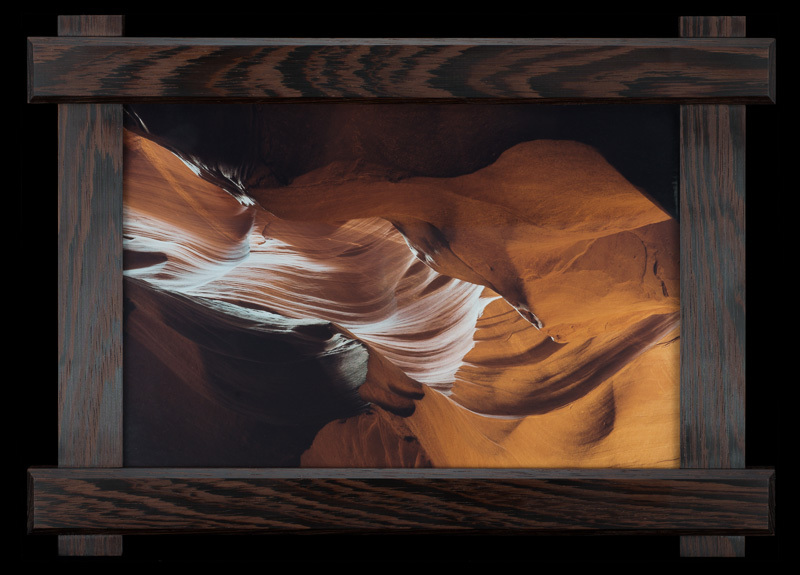 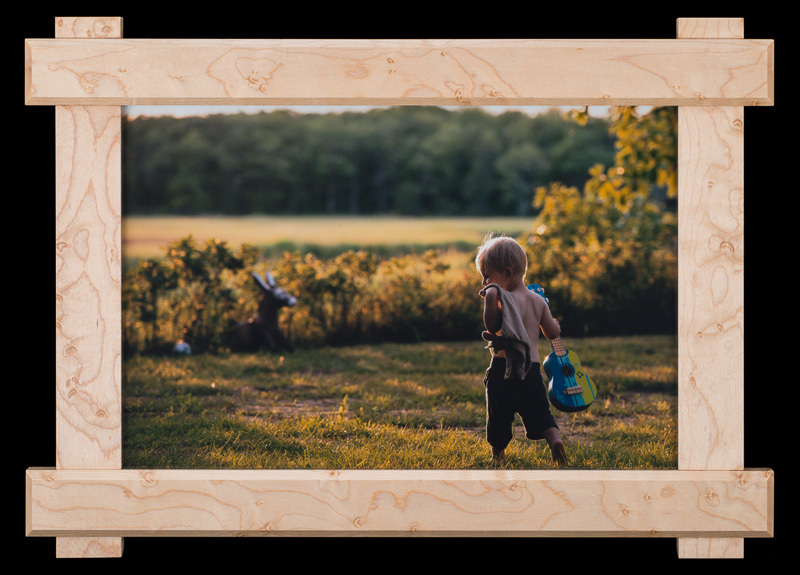 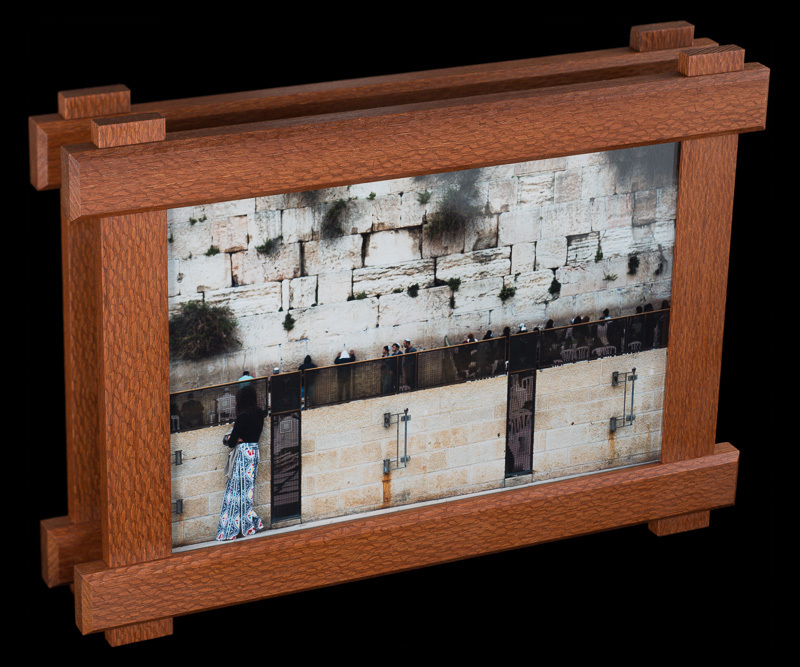 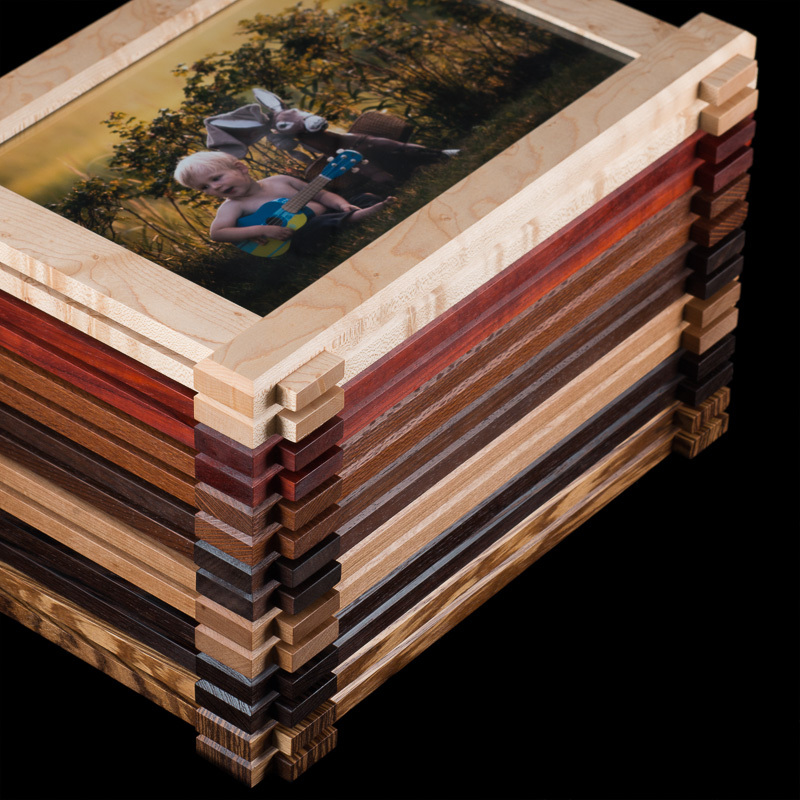 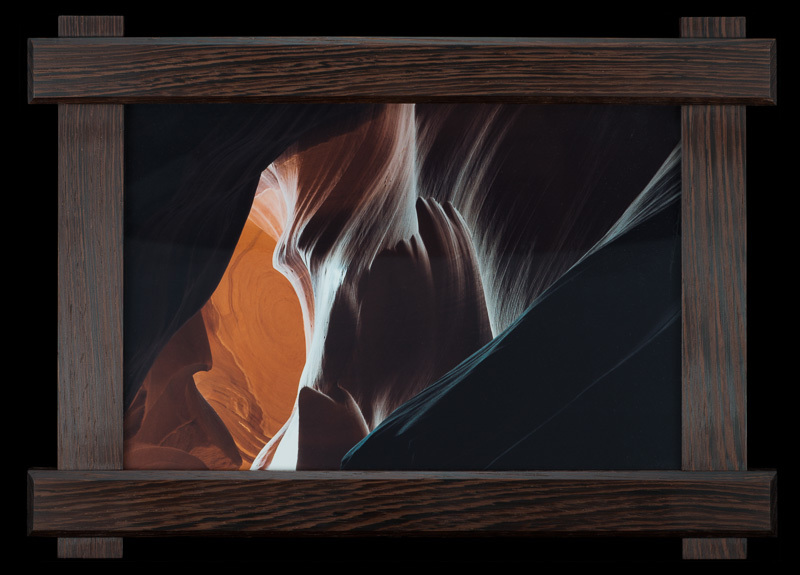 these pairs of picture frames were manufactured in parallel out of 7 types of hardwoods: bird's eye maple, padauk, lacewood, african walnut, cherry, wenge, and zebrawood. 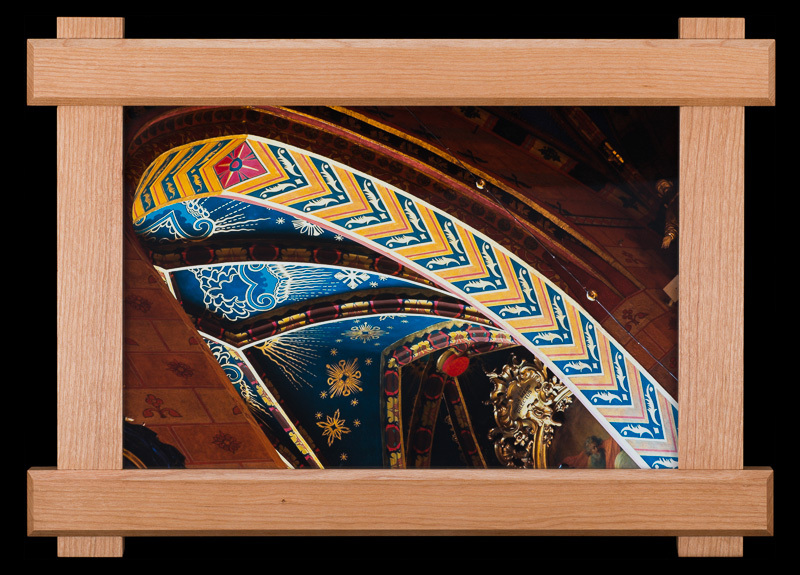 the design was inspired by the craftsman architectural style commonly found throughout santa barbara. 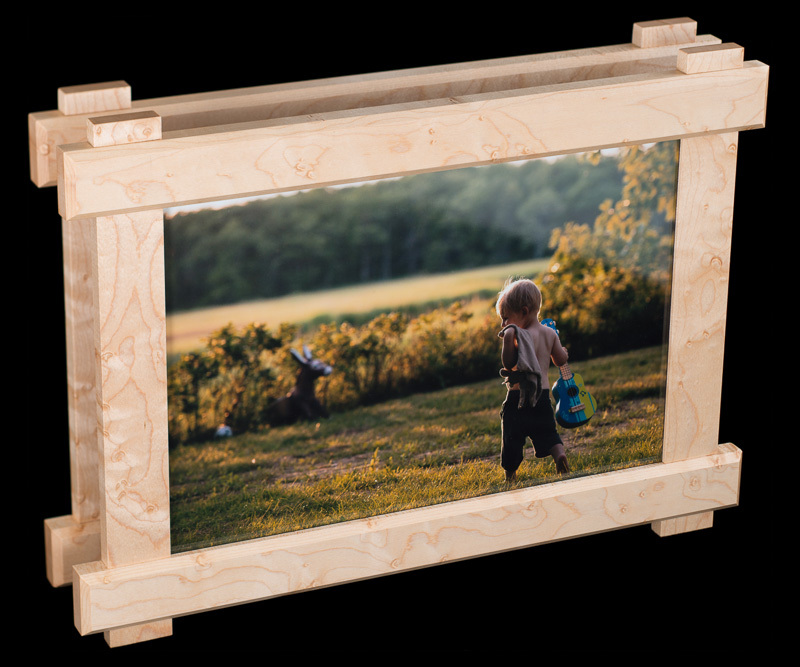 special thanks to jeff hampton from hampton harmony for helping with the woodworking. 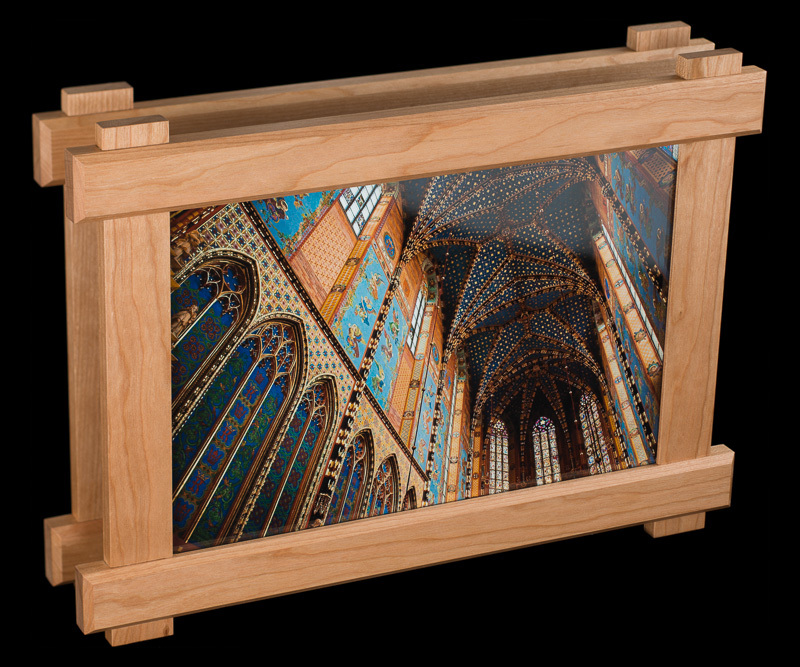 this pair of bird's eye maple picture frames was dedicated to damian and małgorzata. 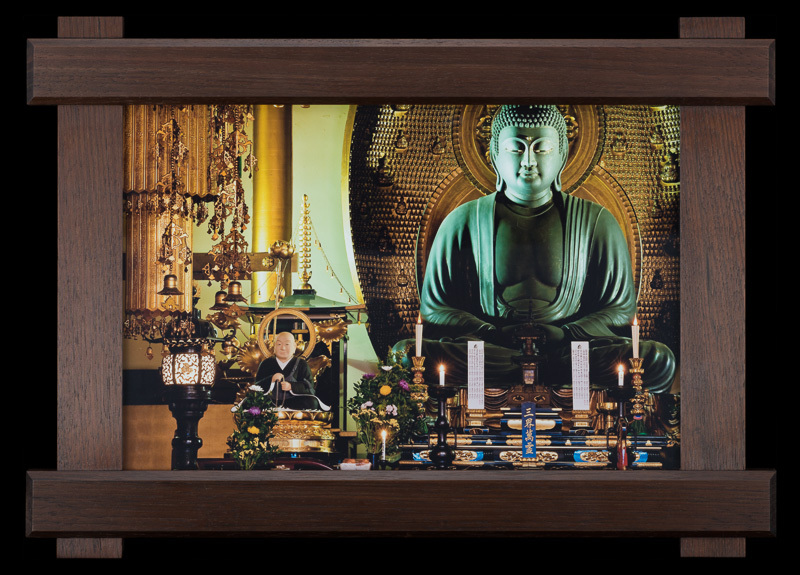 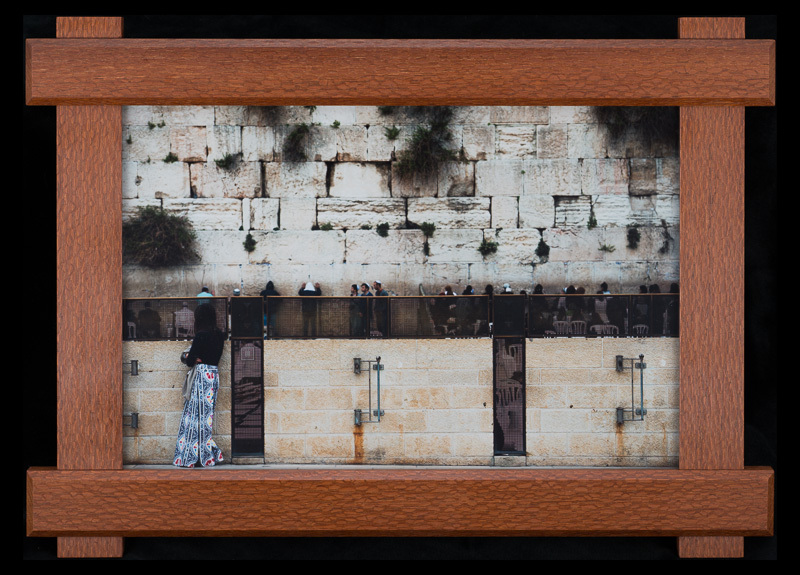 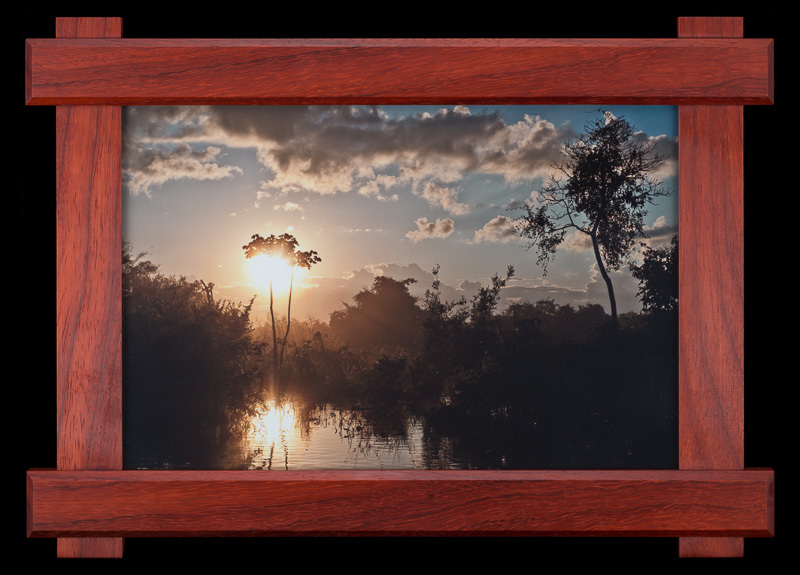 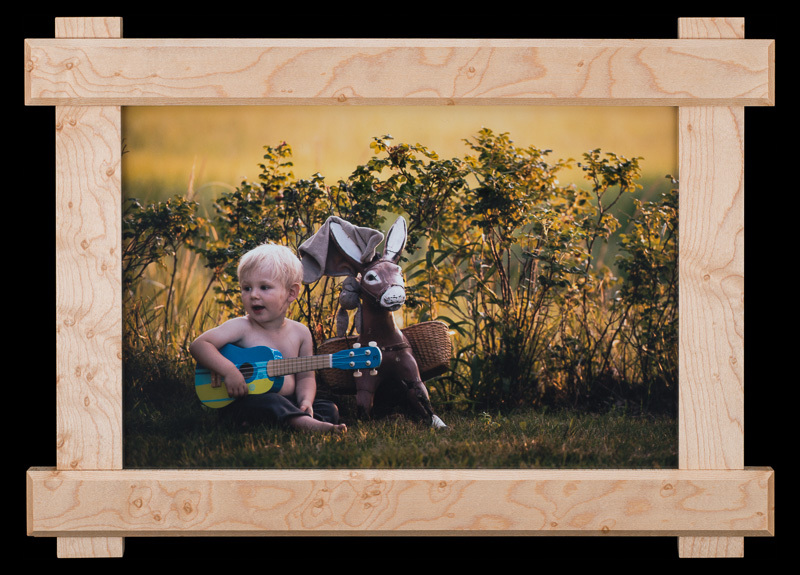 this pair of picture frames is made of padauk wood derived from the pterocarpus tree. 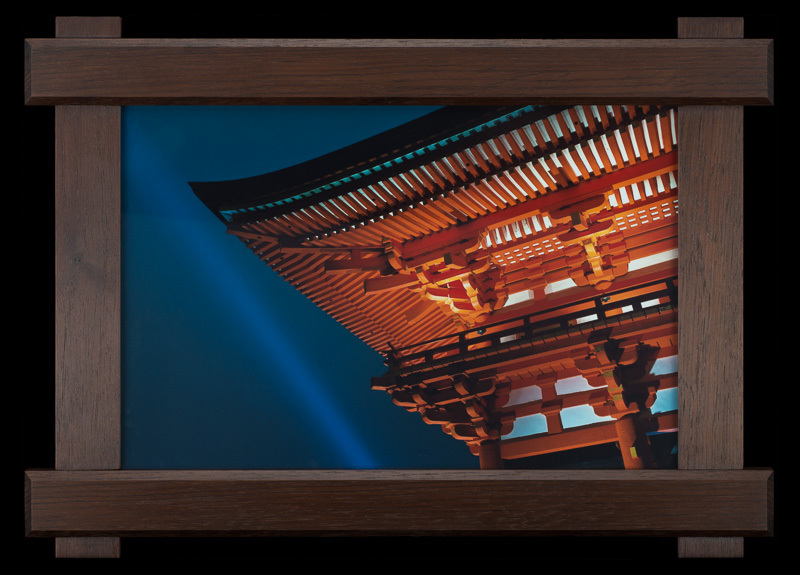 this pair of picture frames is made of lacewood. 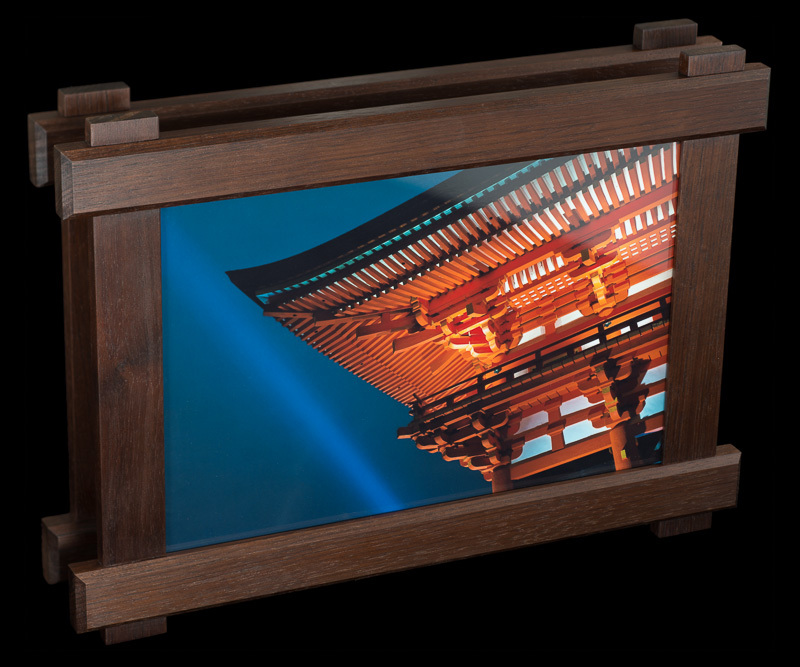 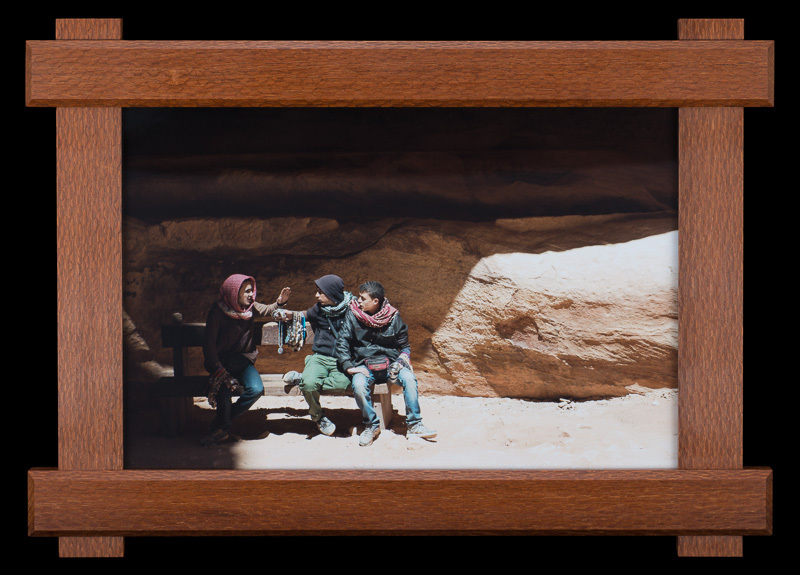 this pair of african walnut picture frames was dedicated to martin and laurent. 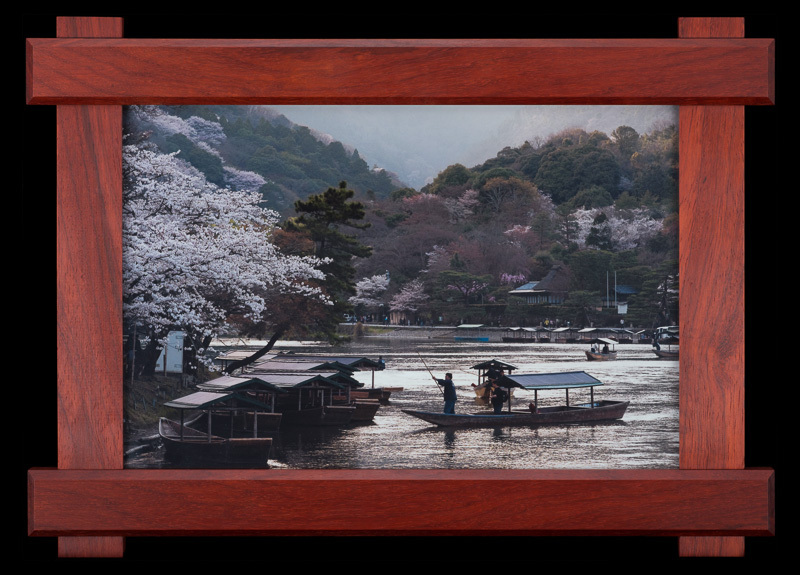 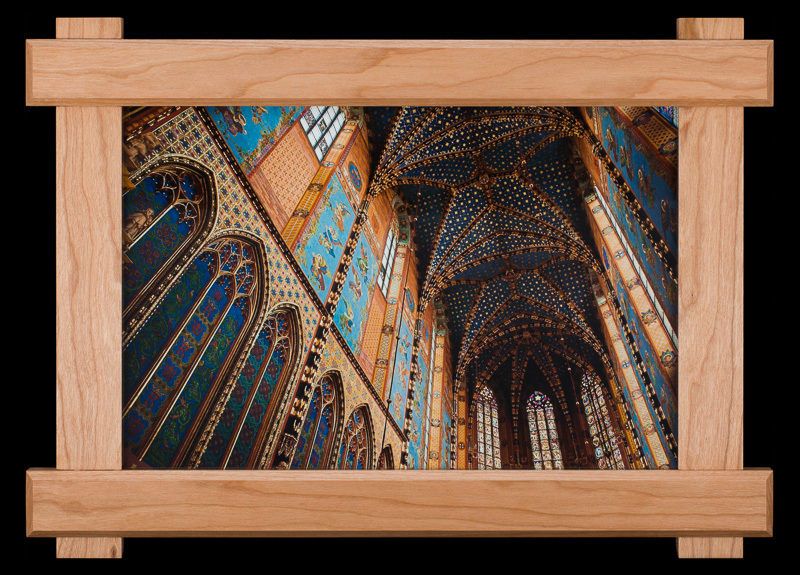 this pair of cherry wood picture frames was dedicated to ciocia marieta. 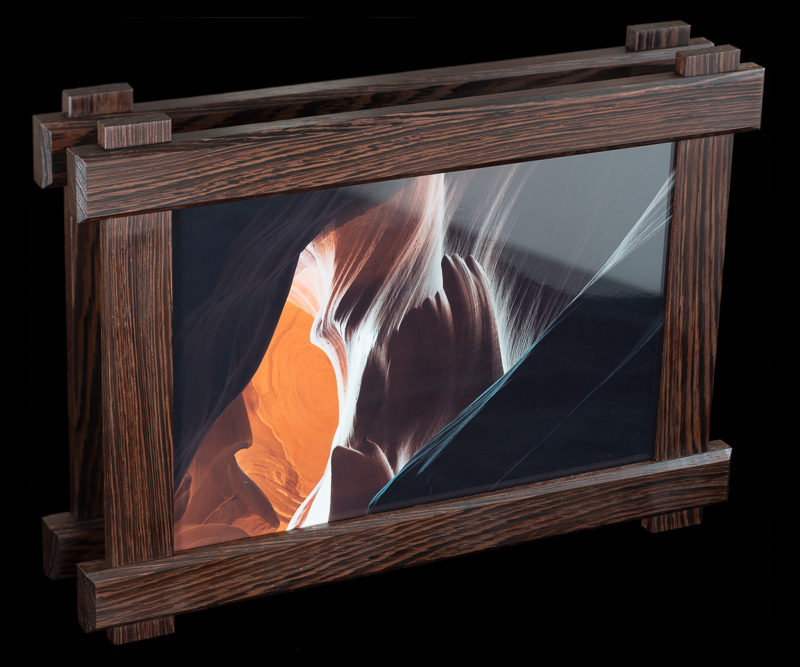 this pair of wenge picture frames made from the millettia laurentii legume tree was dedicated to ciocia ewa and wuj ignaś. 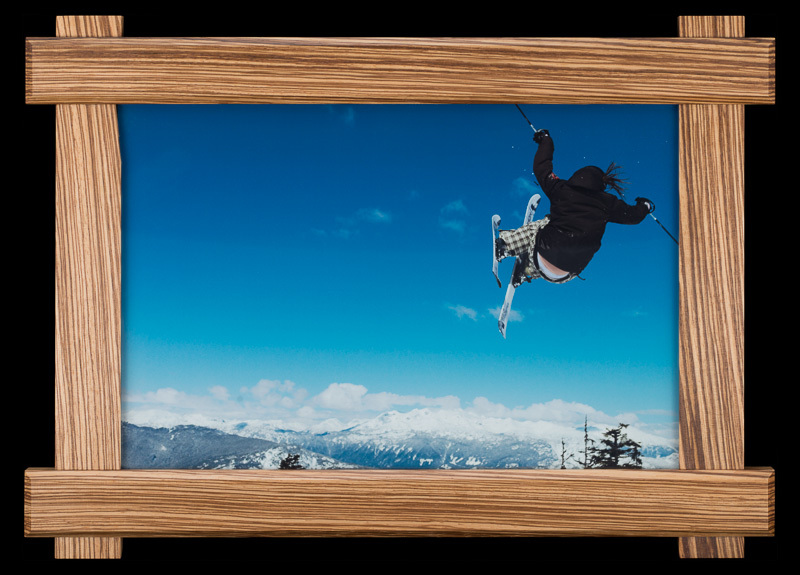 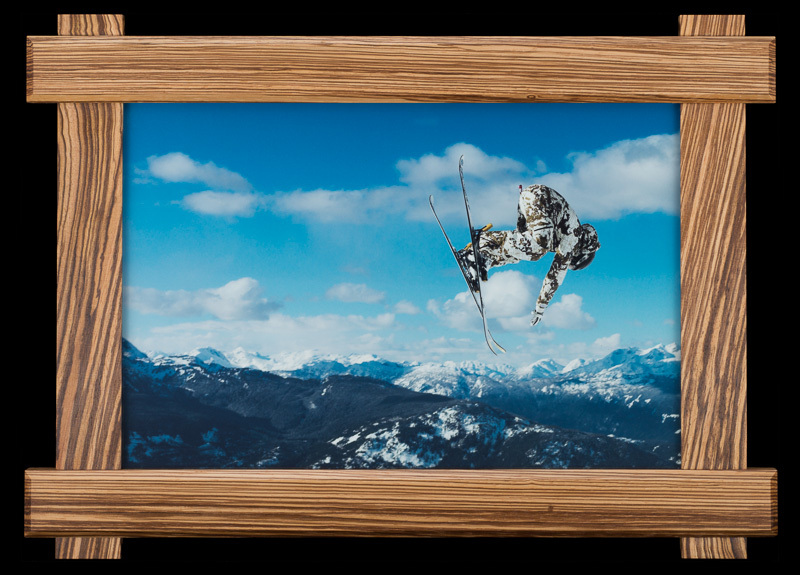 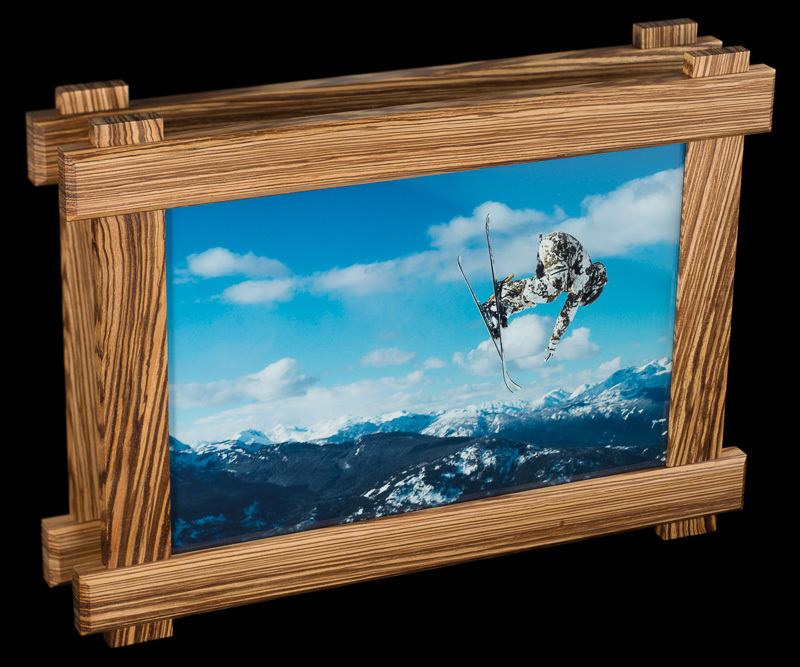 this pair of zebrawood picture frames was dedicated to zuzia and christian. 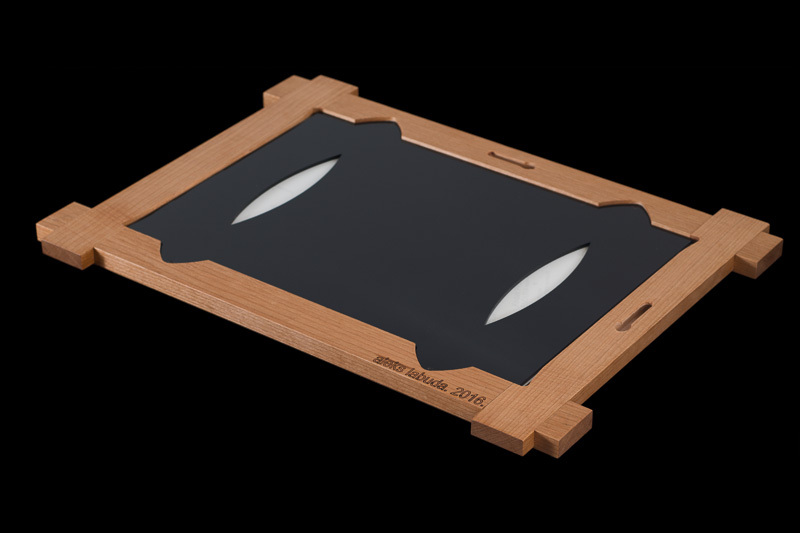 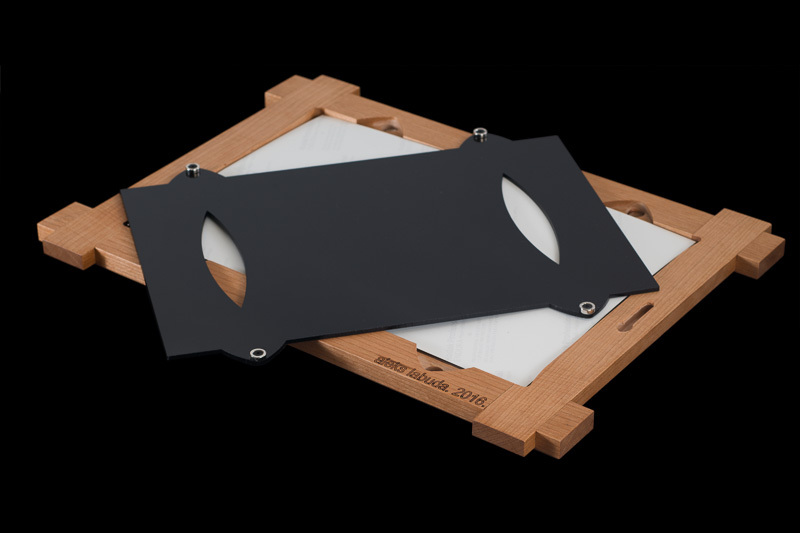 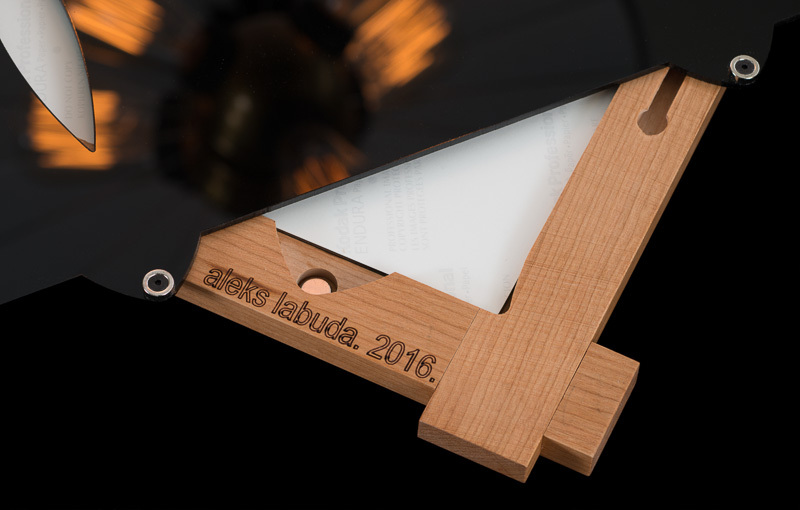 the photo backplate is made of black acrylic and was manufactured with a laser cutter at the santa barbara hacker space. 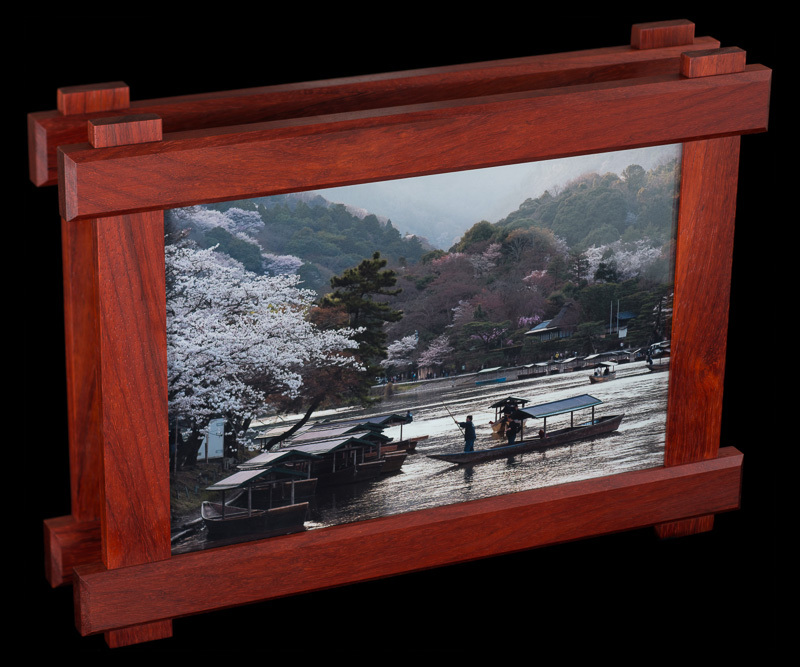 the photo backplate magnetically attaches via rare-earth-magnets to the picture frame, and is easily removable for switching photos.